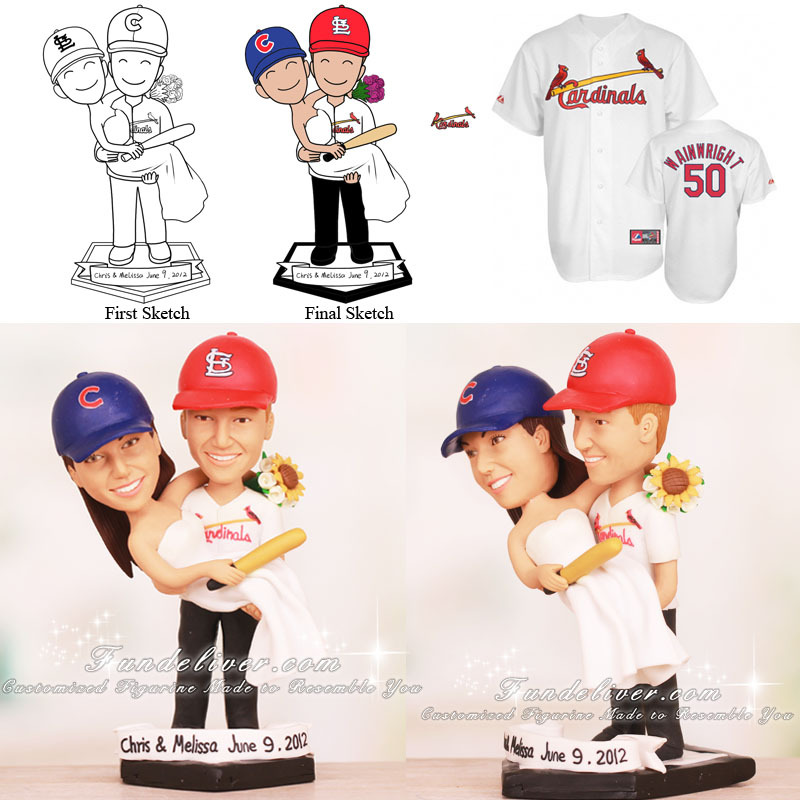 This is a completely customized Cubs and Cardinals Baseball wedding cake topper ordered by one of our customers. They would like the groom to be in St Louis Cardinals hat and jersey, tux pants and black shoes. 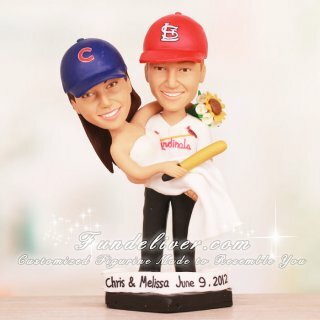 For the bride, they would like her to be wearing Chicago Cubs hat and her strapless white dress, holding a baseball bat and mixed flowers with sunflowers, roses, etc. The groom is holding the bride in his arms, standing on a home plate base with a banner in front saying “Chris & Melissa June 9, 2012”.